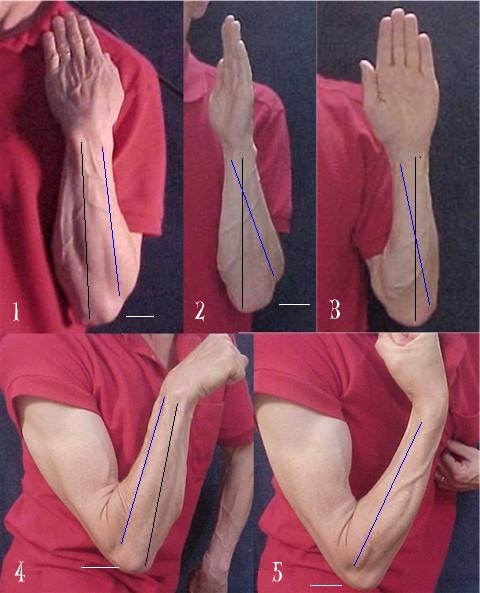 The rotation of the forearm occurs around the ulna. The ulna remains in front, the radius crosses behind. Black lines indicate the position of the ulna, blue lines the position of the radius, white lines point to the lateral epicondylus of the humerus.